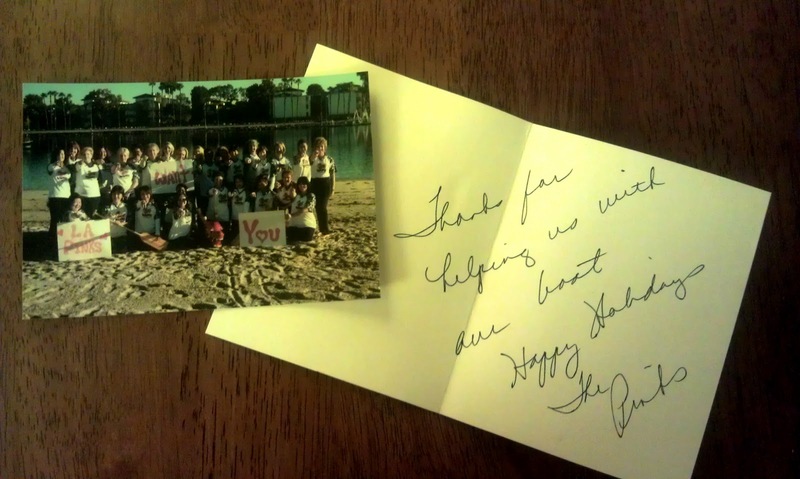 Space Dragons Dragon Boat Racing Team: Season's Greetings and Happy New Year from the LA PINKS! Season's Greetings and Happy New Year from the LA PINKS! The LA PINKS reppin' up plenty of love for the Space Dragons over the holidays and beyond. Much thanks for the baked goods and card!